Hologram sticker Version 11. 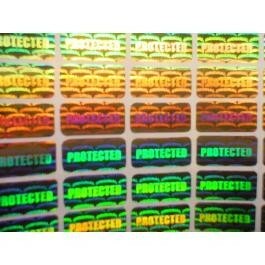 Tamper-proof holographic sticker's hologram image cannot be removed without being destroyed. Then sticker can not be reused anymore. Designation : 'PROTECTED', 'ORIGINAL'. The price is for a list.